Trump’s Codpiece: What’s With The Long Ties? I used to teach at a high school in Brooklyn that required all boys to wear ties as part of their daily uniform. One morning, a freshman named Sammy showed up with his purple tie (that was the school color) down to his knees. That is, literally to his knees. I ordered him out of the room. Sammy argued that he’d never had to wear a tie before and that he’d done his best. I pointed out that extensive lessons on tie tying had been provided during fall orientation and that most of his peers were able to wear their ties at proper length, even if some of the knots were a little looser than I would’ve liked. Sammy slinked out of the classroom but returned a few minutes later, his tie ending, as it should, at the exact midpoint of the belt. We had no other tie-related issues that year, and I am confident that Sammy wears his ties properly to this day. Our new president clearly didn’t have a similar lesson in his youth. Of the many controversies surrounding the presidency of Donald Trump, one outrage that I return to constantly is his habit of wearing ties that seem to reach down to his crotch, in flagrant contravention of every style rule in Western culture. 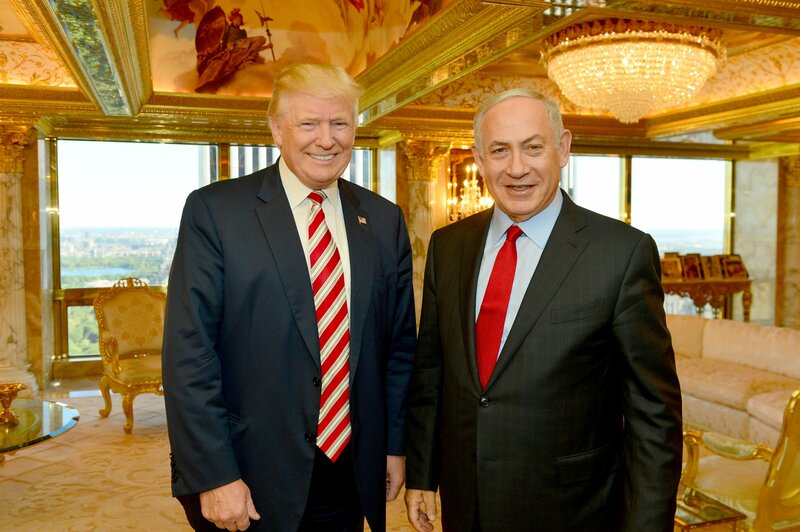 Like so much else about Trump, the ties are tacky signifiers of wealth and power: shiny, expensive and tasteless. But a red power tie, I can handle. The length of that tie, I cannot. I’m not the only one. During the campaign, the great conservative humorist P.J. O’Rourke remarked on Trump’s ill-fitting suits and even more ill-fitting ties. Last weekend, Trump’s ties received lengthy coverage in two major newspapers. The more straightforward take came from Beth Teitell of The Boston Globe. Teitell argued, in essence, that the long ties were a strategic decision, sort of like the manic early-morning tweets from the White House that are purportedly meant to distract us from other issues. “With Trump’s neckwear preference baffling the public, the prevailing theory is that as an amply sized man who seems to value a trim appearance, he may be trying to hide a problem area,” she writes. That problem area is, of course, a prodigious gut, thanks to an appetite sated by a constant stream of junk food. It may be, a costume designer speculates, that “the long tie comfortably covers the point where the belly meets the belt,” creating an illusion of slimness. Slimness may be achieved by other means, including exercise. Trump is, in fact, the first modern president to engage in no regular exercise (sorry, golf doesn’t count). In fact, he is reportedly even afraid of walking down stairs. A somewhat more psychological theory of Trump’s overlong neckwear was offered by Richard Thompson Ford in The New York Times. A legal scholar at Stanford, Ford argued that the long ties are a desperate show of manhood. “Trump’s symmetrical but overlong tie stands out like a rehearsed macho boast, crass and overcompensating,” Ford writes, comparing the ties to an overstuffed codpiece. Of course, it must be pointed out that presidents are rarely lauded for their sartorial choices. Barack Obama was frequently mocked for his “dad” look, while Bill Clinton’s suits often had an off-the-rack look. Yet both more or less adhered to the established conventions of style, probably because they were both self-made men who had to adopt the conventions of the elite they wanted to join. Trump, on the other hand, was born into wealth, but the elite have always rejected him as a crass, outer-borough pretender. Those long ties, then, can be seen as a defiant symbol, a middle finger pointed at the blue bloods of blue-state America.